Rates starting as low as 0.4%! F-Sport Credits up to $4,000! 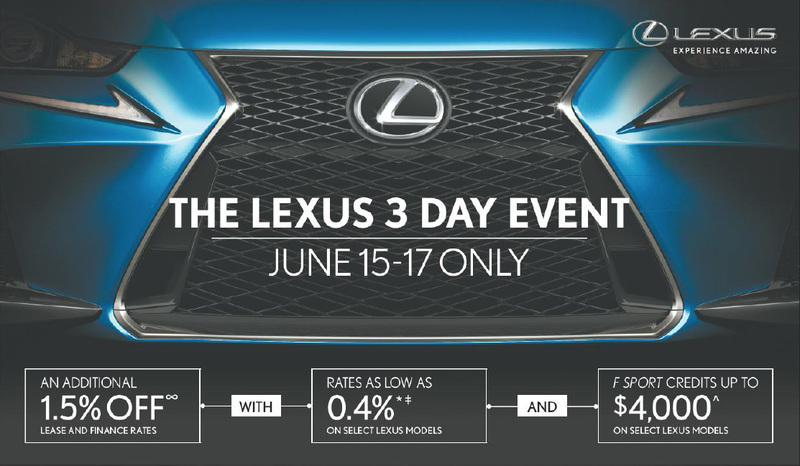 Don't miss your chance to get into the driver's seat of a new Lexus for less. Contact us today for more details, and to reserve your spot behind the wheel. Hurry - these exclusive offers are only valid from June 15-17th, 2017.